Here is an extract from our Elliott Wave Technician December 2015 Investment Newsletter. We cover all major markets in Asia, which looks interesting in a long term perspective as they are ending larger bear markets. As a proxy for Asia we publish our Elliott Wave Analysis of the Taiwanese stock market which reveals a triangle structure spanning 20 years. A complete large contracting triangle which we have labeled as Elliott Wave 'IV'. The Taiwanese stock market is in the beginning of a large Elliott Wave 'V'. We have labeled the rally that started in 2008 as Elliott Wave '1' of 'V'. 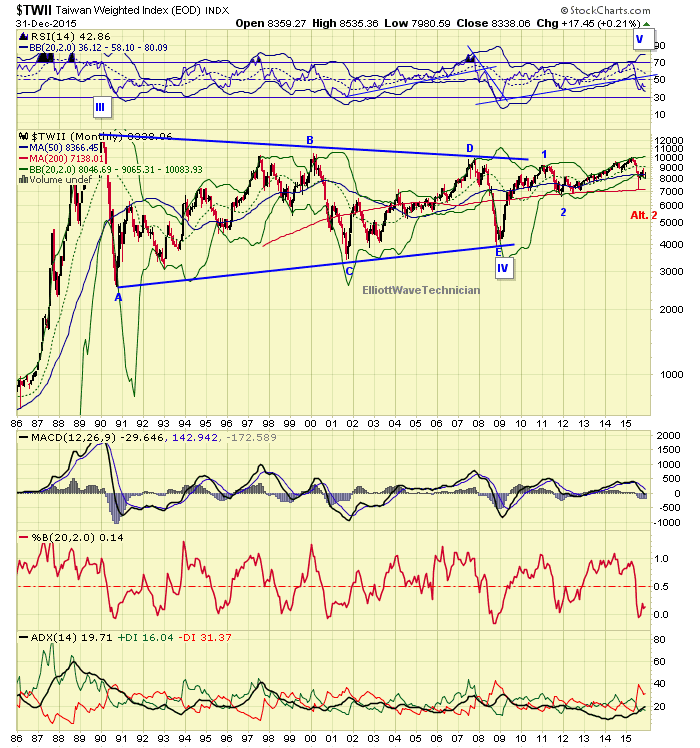 It is not clear if the correction in wave ‘2’ is complete, so further downside from current levels is possible. 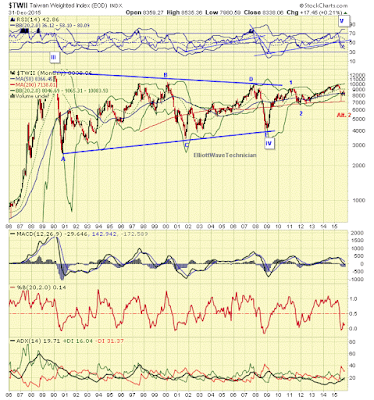 However, the next big move should be a continued long term rise in wave '3' of 'V'.